Most smartphones have a built-in GPS. How do you mount it on the dashboard in the car? 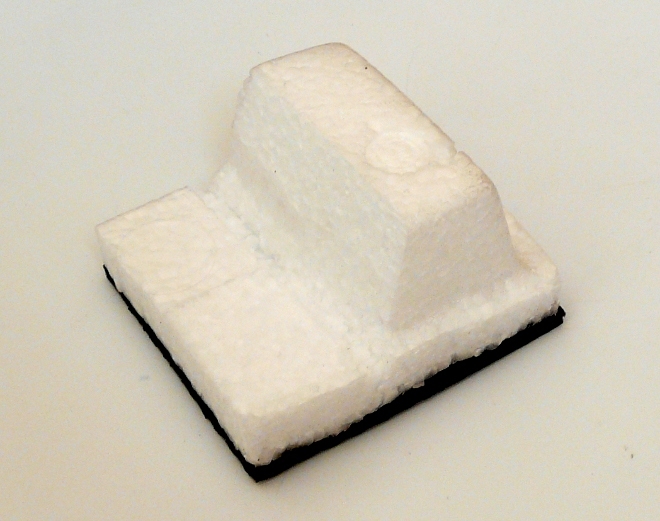 Here is a simple and very good solution: Take a piece of styrofoam and cut it as shown in the blow image. 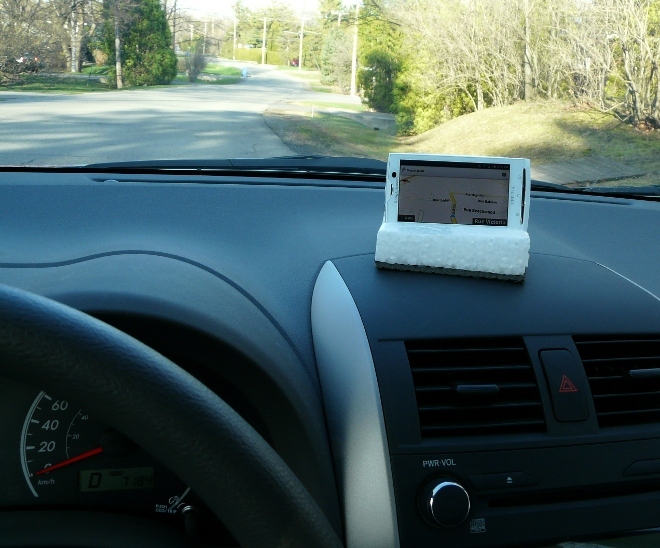 Stick a piece of rubber as skid protection under it and ready is the GPS car mount.